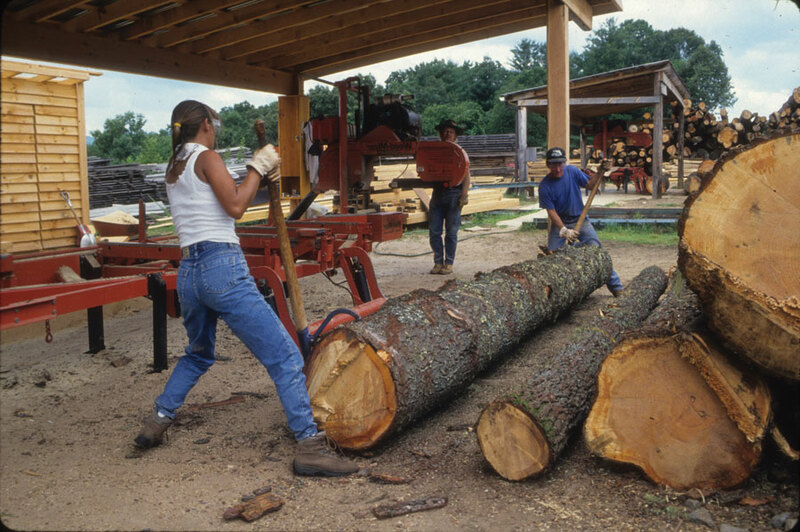 Reporting employment statistics for forestry-related sectors is difficult at this scale. In several counties in which mills are located, they are so few in number that publication of employment statistics violates their right of privacy. Therefore, contribution of forest-related jobs cannot accurately be reported for the 27-county region. However, revenue to the region from total roundwood products indicates the number of forest-related jobs is significant. From 1995 to 2007, the average annual value of total roundwood output delivered to mills in the region ranged from $110 million to $155.4 million. File photo courtesy of the USDA Forest Service, Asheville, NC.